We are deeply saddened to hear of Dr. Anatoly Khitrin’s untimely passing. He was highly regarded as a most creative physicist and NMR spectroscopist, and profound thinker. He is also remembered as a very kind and supportive person. He will be truly missed by friends, colleagues, and students. On this site we hope to collect collect memories, quotes and thoughts from people who knew Tolya. Please also feel free to upload pictures of Tolya. We thought it would be wonderful to collect these comments and reactions here. Leaving your contact information is optional. We lost a great scientist and an extremely nice friend. Anatoly visited my lab during his sabbatical leave. This gave me and my group an excellent opportunity to know more about him and to discuss great science. Anatoly was always enthusiastic to new ideas and dedicated to investigate the chosen problem in-depth, which lifted the enthusiasm for everyone involved in the project to a great level to appreciate the intricacies of magnetic resonance spectroscopy. Anatoly had an amazing understanding on the fundamentals of magnetic resonance including the abstract Physics behind of NQR. His abilities to instantaneously come up with theory and mathematical equations to explain an experimental observation were exceptional. Needless to mention he was a great educator and a productive collaborator. The death of Anatoly (or Tolya, like his Russian friends used to call him) was quite a shock for his friends and colleagues. So many people enjoyed his friendship both personally and professionally. I think that many members of the NMR community can contribute to this blog with their personal memoirs about Tolya. Tolya passed away at the 4th of July after 3 months of heavy suffering. The initial diagnosis was a bladder cancer. After an unsuccessful surgery he went to an intense chemotherapy which did not help either but resulted in severe side effects. The official cause of death was a heart attack. I have learned about his illness just before the last ENC conference where we planned to travel together. Tolya called me just a week before the trip saying that he was scheduled for a surgery and refused to reveal the problem. After the conference I have called him and learned the sad news about the diagnosis. I talked with him several times in May, but his condition was getting worth rapidly. In June he became uncommunicative, but I was in contact with his wife Lena. I knew Tolya from late 70-s back in Russia when he joined the Provotorov’s group in Chernogolovka after graduating from Fiztech. We have met regularly at seminars in Chernogolovka and Moscow and at yearly NMR Summer schools. At that time Tolya was involved in creating a theory of multiple-quantum coherences in solid-state NMR (together with Provotorov, Fel’dman and others). I remember very well numerous talks with him when he explained the physical nature of the concepts hidden behind the equations. Tolya really loved to talk about physics and he did it brilliantly! Our relationship became closer when we both found ourselves in the US. The last time we met was at the 2016 ENC conference in Pittsburgh. After the conference I have spent three days with him at Kent. There was no hint of a coming illness and Tolya was full of energy and ideas. He told me that there are two things he was constantly thinking about, spin dynamics and foundation of quantum mechanics. He was very ambitious in choosing scientific problems, but not so in everyday life. I think that his main professional motivation was just a curiosity and it is this curiosity that made him such a creative and successful scientist. Like many others, I will miss Tolya very much. It is hard to realize that I will never hear his quiet and calm voice talking about fundamental physics or literature or politics. His curiosity had no limits! The news about Tolya Khitrin’s death shocked me. How could that happen? He was an energetic, athletic, and intellectual man, full of diverse ideas. He left us at the peak of his powers. Tolya’s death is a personal tragedy for me. I worked with him many years, and our joint work, resulting in interesting papers on spin dynamics, was the time of happiness, youth, hopes, and inspiration. Tolya joined us in the group of the outstanding physicist Boris Nikitovich Provotorov right after Tolya’s graduation from fiztech in 1978. I learnt that Tolya, like me, was an enthusiastic participant in physics and mathematics Olympiads in high school. The two of us spent much time discussing math and physics puzzles, clever tricks, and simply interesting problems. Our group was then focused on spin dynamics in multiple-pulse NMR. We developed an approach based on the averaging of rapidly oscillating interactions and then the use of Provotorov’s two-temperature model. The first paper by A. K. Khitrin extended our theory to quadrupolar nuclei in multi-pulse spin locking . In the beginning of 1980s, the average Hamiltonian theory  was broadly used in magnetic resonance. Insufficient understanding of the method resulted in mistakes in a number of problems. For example, the relaxation rate in multiple-pulse spin locking appeared to depend on the choice of the evolution period. Tolya and me became interested in the problem and soon published a paper  on the equivalence of average Hamiltonians for the calculation of observables in NMR experiments. We worked in Provotorov’s group, and his quasi-thermodynamic theory of NMR spectrum saturation constantly attracted our attention. B. N. Provotorov had developed his theory in the high-temperature limit. Both the Zeeman and dipolar temperatures were assumed to be high, and the problem was completely solved under that assumption. The generalization was relatively easy for a low Zeeman temperature as long as the dipolar temperature remained high. No truly new physics emerged in that case. We decided to study the NMR line saturation for polarizations close to 1. Using the spin-wave approximation we obtained , the saturation equations for a system with a high polarization. In contrast to the Provotorov equations, which involve the inverse Zeeman and dipolar temperatures, our equations were written for the inverse temperature and the chemical potential . Even though our low-temperature equations have been studied in several papers [5-7], their implications for the spin dynamics of interacting nuclear spins are not fully understood yet. The beginning of 1990s was the best period of our joint work. In 1994, we got a grant from the International Science Foundation (Soros grant). It allowed us to continue our research after the end of the Soviet Union. We investigated the onset of the magnetic order at the adiabatic demagnetization  and the dynamics of nuclear spins connected by dipole-deipole interactions at high polarizations . Our latest common interest was multiple-quantum dynamics in NMR. Yet, our approaches diverged. I moved in the direction of exactly solvable models of condensed matter systems [10,11]. Tolya developed  a phenomenological approach. We were young, energetic, a little overconfident, and pugnacious. The criticisms of each other’s approaches went over the top. Looking back, I regret that I did not recognize Tolya’s idea  of using the second moment of the intensity distribution of multiple-quantum coherences, which has later been recognized and developed by others (see, e.g., ). In 1999, Tolya left to work in the US, and our interactions gradually slowed down. I know that he proposed a successful method for decoupling hetero-nuclear dipolar interactions. That paper  has already been cited about 1000 times. Tolya was successful in the application of NMR to quantum information. Yet, it is hard for me to choose his most important contributions from the American period. Let his American colleagues do this! I am sure that all who knew Anatoly Konstantinovich Khitrin will always remember him. Rest in peace, Tolya. I was shocked to learn that Anatoly Khitrin had passed away. I always found him a stimulating person to chat to at conferences, although sadly I never got to know him much on a personal level. But I always looked out with pleasure (and some trepidation) for his latest ideas on nmr and spin dynamics which were always original and insightful, and often very influential. His elegant solution of the heteronuclear decoupling problem in anisotropic systems will live long into the future and has spawned many new research lines. His ideas on NMR photography were crazy, inspiring and original, and may yet have their day. The same applies to his observations of strange long-lived signals in solids: all marks of a highly original and creative mind who was clearly doing great science and having a lot of fun at the same time. One of the great creative personalities in nmr has gone and I will miss him. A gentle man. A superb scientist. A real human. Taken from us too soon. I join my sincere condolence in connection with the untimely passing of our wonderful colleague and friend Tolya Khitrin. His bright talent, broad scientific horizons and passion for science won our common admiration in those years when Tolya actively participated in our Moscow Seminar on magnetic resonance. He was really intelligent, charming person with a great sense of humor and constant readiness to discuss a new interesting scientific problem. His passing is a huge loss, we will always miss him. Kotel’nikov Institute of Radio Engineerimg and Electronics of RAS, Moscow. Everyone who knew Anatoly was impressed by his broad and original outlook of physics and by the latitude of his interests. It ought to be observed that the mathematical and theoretical culture of Tolya enabled him to solve fundamental problems of spin dynamics. Sometimes it might even seem that his experimental physics was obscured by theoretical one. Such an impression, however, is certainly wrong: he knew and loved science upon the whole. We will always remember the remarkable scientist, whose whole life was devoted to the advancement of science. Talent, kindness and charm are words that characterize him best. It would be wrong to say that he departed this life he will live in the memories of his friends, and he will live in his accomplishments, results, ideas and dreams. Sadly, death interrupted the multifarious studies of Anatoly. He left many unpublished or partly published results. I first met Dr. Khitrin at Kent State University. He was my professor, my supervisor and a huge part of my experience as an exchange student from England. I only knew him for 1 year but there are so many wonderful things I can say about him. I remember the times we spent doing experiments in the NMR lab, I use to be amazed by his wealth of knowledge and passion for chemistry, and how pleased he would be when we achieved good results. Dr Khitrin was probably the most intelligent person I have ever met but he so modest at the time. He was also a well respected professor, and always so patient with students. Above all he was a kind hearted and caring person who achieved great things in the field of chemistry. I was sad to hear his news and felt that a lovely man has gone so soon. Tolya was for me like a brother. We met at the FizTech entrance exams and since then we have been great friends for life. Tolya knew and loved physics and continued to study and develop it throughout his life. He was always open to discussions, patiently studied the arguments of the interlocutor and patiently explained his ideas. Anatoly often amazed me with his elegant approaches to complex problems. He easily learned new concepts and shared his profound knowledge with others. Being a theorist by education, Tolya easily mastered the work of a highly skilled NMR experimenter. He was an outstanding thinker and intellectual. For me, this is an irreplaceable loss. Anatoly is one of the great scientists of our magnetic resonance community whom I wish I could have interacted more with. I met him at several conferences following his departure from Russia, and he was always full of ideas and energy. His interests and contributions ranged from fundamental spin physics to the applied sciences. His legacy remains in the literature and with the people who met him. I remember a profound end energetic thinker who made great contributions while remaining a friendly and great colleague. I knew Anatoly from the times in the States. I first met him at one of the ENCs when I was still in grad school. I will just echo everyone on how nice, gentle, and equally approachable was Anatoly in talking and interacting especially with younger people. His passion for science, commitment to scientific ethics was incredible and infectious such as one wanted to adhere to these higher standards immediately. At the same time his gentle sense of humour made him an incredible figure to follow. This all made discussions of many scientific challenging concepts incredibly useful and helped my personal development to the next level. He will be missed and it is incredibly frustrating that such a great mind left so prematurely. I knew Tolya while I was at the University of Oklahoma. He was most brilliant and made the spectroscopy a fun thing to listen to him explain. I used to be boggled by the complex equations he would display and at once make them look simple and innocuous when he explained! I knew he would go far in professional life and was probably one of the early friends who advised him not to settle for anything less than an Associate Prof level appointment. I was short of words to find out about his passing. I was stunned. We are contemporaries so felt my own mortality maybe nearby. I feared that it was probably his heavy smoking that got to him, but even more surprised it was not smoke-related but bladder issues. 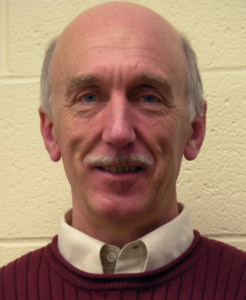 His passing is no doubt a great loss to his college and even greater loss to spectroscopy. He was wrestling with quantum computing at one time and I really could see hoe deep he was drawn into the inscrutable world of physical science. What a loss! I hope Lena and the kid are coping well. I have my sympathies for their loss. When we first met at Kent State in 2004, I came up to Anatoly to introduce myself. He asked me about my work, and I told him that our Department was planning to acquire a multiphoton microscope at that time. But barely had I opened my mouth to explain to him what it is, when he already understood it all – how it works and what it is good for. I remember how surprised I was then. And, as time went, my admiration of Anatoly only kept growing. One time, I asked him about some aspects of membrane potential (which is not something he studied professionally). By the next day, not only did he understand what others had done, but also noticed a logical flaw with the existing theory. He noticed that it disregards the fact that biological membranes have a closed shape, and that should require a different treatment. However, it followed from his revised theory that electric forces should be absent on the inner side of the membrane and that did not agree with some experimental facts. It took him another day to think it over, and the result was a new, quite astonishing, model of electrostatic interactions (Chem. Phys. Lipids. 184, 76-81, 2014). Everyone knows of course that like charges repel and opposite charges attract. However, it followed from his theory that this situation can reverse itself if electric charges in a conducting liquid are separated by a dielectric membrane. In fact, his arguments were so simple that could be easily explained on two square inches of paper; and yet no one had thought about it before, in all the years that the science of electricity had existed. Another time, I asked him to help me with some arcane optical theory: I was using so-called quantitative phase imaging but was struggling with some theoretical points. (By then, I knew that I could ask him anything and he would have an answer!) This time, too, it took Anatoly no more than a day to come up with a description of microscope operation that was novel, simple, elegant, and extremely powerful – and one that had been completely overlooked in the 150 years since modern microscopes had been invented (Microsc. Microanal., 2017). I hope we would be able to turn his ideas into a useful tool for analyzing images. Without exaggeration, I witnessed scientific miracles on these two occasions. I wish I could comment more on his work where he tackled some very fundamental questions of physics and concluded that the quantum world is, in some ways, more predictable than classical (Physical Review E, 92, 052903). Unfortunately, my knowledge of physics is not good enough for that; I hope someone else would do it on this site. It would be interesting to obtain his lectures, which must contain a fountain of new ideas. But sometimes he would turn his mind to more down-to-earth subjects. He built a working anti-snoring device out of scraps that he found in a department store, and when we showed it to a sleep physician, he found it practical and original. Of his other forays into diverse problems, I remember his ingenious idea of anti-slip shoes and an unorthodox theory of the world’s climate. In my view, Anatoly was a truly universal scientist in the mold of the great thinkers of the past. Everything interested him, and his grasp of all kinds of problems was unmatched. But how many people are nowadays concerned with foundations of physics? How many will appreciate his innovative thoughts about cell electrostatics when everyone must scurry to publish and to get grants? Had he lived a hundred years ago, he would have probably made discoveries that would have made it into all textbooks of physics; but science has changed since then, like it or not, and different type of scientists become heroes of the day. He was an easygoing and modest person, and it seems that his idea of a perfect day was to stay home undisturbed, think, work and read. He always looked relaxed, always glad to see you, genuinely interested in how things were going, professionally or otherwise. He projected a kind of upbeat and gentle equanimity and understanding – something of a Democritus, the “laughing philosopher”. When one professor at Kent, a young and successful scientist, learned of Anatoly’s death, he wrote to me: “Anatoly helped me become a better scientist and a better person”. It is very rare to hear such things said of anyone. I believe that many of us who knew him could also say that we, too, have learned much from Anatoly and that we, too, may have become better in some ways, even if unconsciously. And that we may somehow pass on to others – that is how everything ultimately stays afloat. It was a great shock to learn of Anatoly’s passing, and a great sadness to lose such a remarkable scientific colleague and personal friend. Others have described so well his wonderful scientific personality, his enthusiasm and curiosity in so many diverse areas, and his generosity of spirit. Anatoly was a great listener, and I always enjoyed our encounters at the ENC or RMC, or our phone conversations, when he would be genuinely curious about areas I was working on, and would make useful comments or even do some simple calculations. We would discover that both of us had tried the crazy experiment of doing NMR in a fluidized bed, in an attempt to narrow the NMR spectrum of a solid (he had more success than I did I believe). I first met Anatoly at the 1997 Rocky Mountain Conference NMR Symposium, which was his first visit to the US I think. He spoke about his theoretical work describing multiple-quantum dynamics in 1D systems, a topic that interested me very much. Over the subsequent years, after he came to the US permanently in Oklahoma first and then at Kent State, we kept in contact, always exchanging greetings over the Christmas season. I treasured his gentle, modest, cultured personality as much as his scientific insights and breadth of knowledge. I mourn his loss, like so many others here do, but also take heart in the fact that he touched so many lives in a positive fashion. If you have difficulty uploading images, please send them to us (jaeseung.lee@nyu.edu, or alexej.jerschow@nyu.edu).